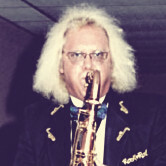 I’ve recently had an internet discussion with another individual about why the USA saxophone companies failed. Make no mistake about it, they didn’t withdraw from the market voluntarily. They failed because saxophone buyers chose to buy other horns. It’s as simple as that. The USA companies, which had every advantage in the world (more about that in a minute) simply didn’t produce what people wanted to buy. There is a great lie floating around that the reason tHe USA companies failed was because the foreign competitors had lower labor costs. While it IS true that the overseas labor rates were generally quite a bit lower than the USA union rates, the imported horns had costs associated with them than did not apply to the USA horns: significant transportation costs from the factory location to the marketplace, and tariffs added at the insistence of the United Auto Workers union (who represented the factory workers in the USA) which was very politically powerful. These tariffs were intended to and in reality did somewhat equalize the price differential between domestic and foreign produced saxophones. The USA makers had everything going for them: established factories (mostly paid for) with an experienced work force; brand name recognition (who hasn’t heard of Conn, King, Buescher, Martin, and the others? ), a huge distribution network was already in place with virtually every local music store representing at least one brand, often several brands; and a compliant Congress willing to step in and adjust prices whenever needed to protect trade unionists. In spite of all of this, the USA companies still managed to fail. If there are a couple of factors which caused this demise, it’s got to be clear that the USA makers offered only very antiquated designs, many originating in the 1930’s and 1940’s up through the 1980’s with almost no design innovation. There were also very significant quality control issues in the USA. The argument is often made that “the American workers were the best in the world”. Well, let me ask you this: just how much skill do you need to build saxophones? All the parts are built on jigs. Almost no aspect of the manufacturing process requires a lengthy training period or considerable experience. It’s mostly just repetitive motion. It’s an obvious and well known fact that you can take a Chinese peasant farmers wife who has spent most of her life staring at the business end of an ox plowing the fields and in a couple of weeks train her how to make and assemble saxophone parts.Yet the trade unionists of Elkhart demanded big money for their so called “skills”. Consider the case of Yamaha. They came to the USA in 1972 with no dealer network, an unknown product, a lot of cultural bias against them, and no real price advantage. All they had was an innovative, well made saxophone. Apparently, that was all that was needed. Look where they are now! 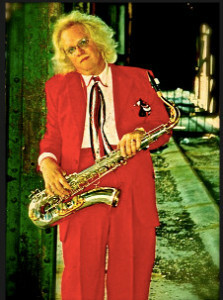 There’s no need to grieve or feel sorry for the USA saxophone business. All their wounds are self inflicted. If they had been paying attention, we would all be playing 10M’s, Super 20’s, Aristocrats, and The Martin’s today. They didn’t and we’re not.